It’s such a thought-provoking question to ponder because many of us fail to see that we are so very blessed! Sadly, if the question above were to become a reality, some of us might wake up with nothing. I know I’ve been guilty of days where I’ve focused more on the negative instead of all the positive blessings from God. 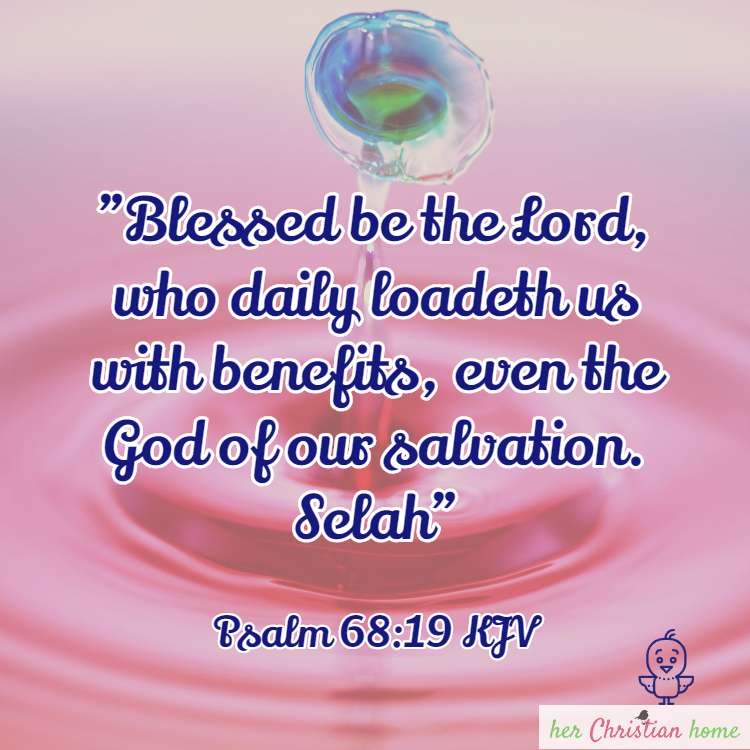 But, have you realized that our Heavenly Father daily loads us with benefits and blessings? He’s so good to us! 1.) We have water in our tanks. 2.) My friend just received her 1st refrigerator, she’s 36 and it’s been her dream for the 13 years that I have known her. 3.) Helped a new friend understand a biblical principle. 5.) Someone prepared a meal for me and also did the cleaning. 6.) Two of my five children “visited” with me today. 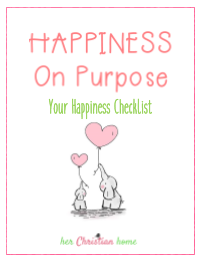 But if you take a closer look at her list, you’ll realize that her blessings are not particularly “material” things (such as jewelry or a new dress) . 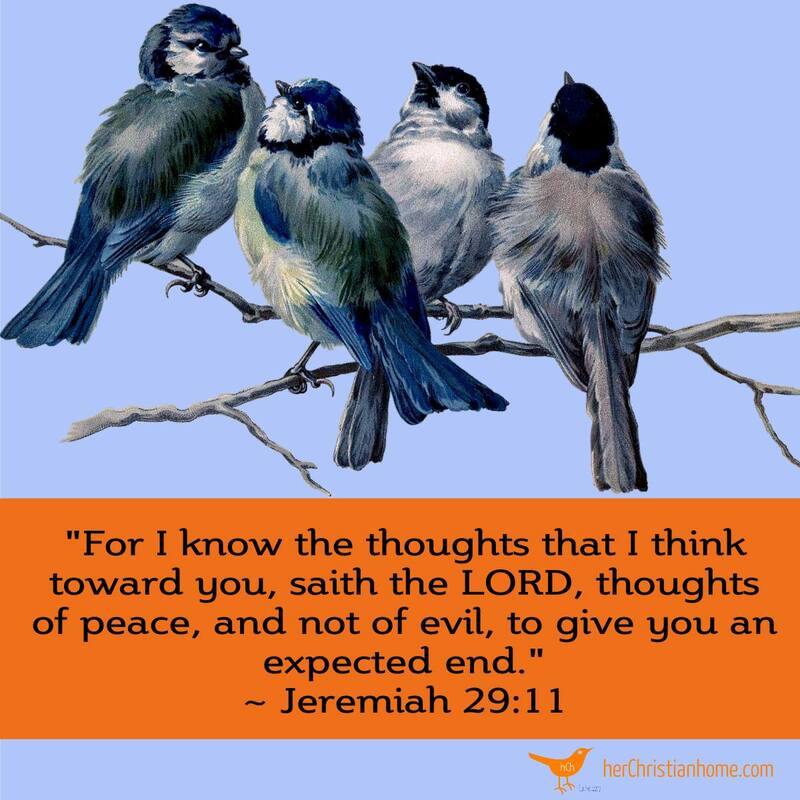 For instance, the privilege of helping a friend or encouraging a friend in God’s Word…or the simple “freedom” and “privilege” to hold God’s Word in your hand to read it are blessings that we might overlook. We can establish a more “grateful” attitude by deciding not to take our everyday activities for granted. As we learn to appreciate with mindfulness ALL of our surroundings, we will become more “thankful” for the tiniest things as well as the big things in our life. If you can not think of one single thing for which God has bless you… may I remind you that the cross of Calvary where Jesus laid down His life that we might have eternal Hope — Life everlasting — our sins paid for in full! — is yet the biggest blessing we have to enjoy every single day!?! 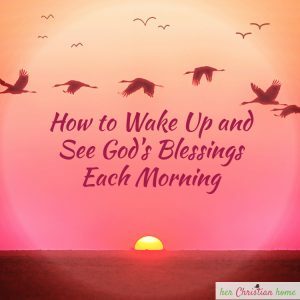 So how do we wake up and see God’s blessings each morning? 3. When you head to the kitchen to prepare for breakfast — thank God for the food that’s in your fridge and in your cupboards. Some people won’t have the privilege to eat today! 5. If you can see, hear, talk or walk — then you’re doubly blessed because so many cannot do some of these things. If you have good health — then consider it a triple blessing on top of that! As you can see, we’re surrounded with God’s blessings on a daily basis. Yes, we’re loaded! We have to purposefully take time to become aware of those little blessings as we go throughout our day. BUT, the practice of waking up and seeings God’s blessings will also put us in the right frame of mind and attitude for our day ahead. 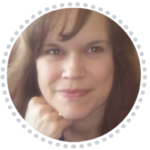 There’s sooo much more that could be mentioned about all of God’s blessings — more than I could ever write in a blog post…please share your blessings below. I’d love to hear your comments. They’ll be a blessing to me as well as to other readers! ← Why We Should LOVE God’s Commandments? Thanks for making us remember the little things. This post moved me to tears…and though its old, thank you for sharing. Thanks so much for your heartfelt comment. It’s such an encouragement to me! I’m blessed to have a job, healthy children, to live in Anchorage, Ak. So close to wonderful scenery and the mountains. 5 of the past 6 weeks I’ve been riding up one of the 2 big mountain rides, near home. I’m thankful for the strength to be able to do these things. It must be a beautiful site there, Robert! 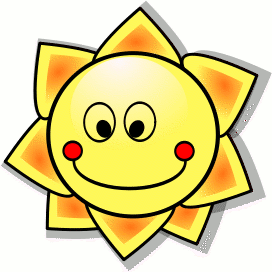 God’s wonderful creation is something to really enjoy! And yes, I praise God for my strength and health…so many don’t have that. I don’t want to take it for granted. Thanks for sharing your comment! I am blessed that we are stil very much alive. Praise God. After we have gone through series of calamities such as earthquake, multiple aftershocks, then a tornado and after few weeks we had this super typhoon ” Yolanda ” , and again another earthquake. I know for sure this is God’s wake up call for everybody to repent and turn to Him. We will just put our trust on Him and keep our faith going. Sarah Jane, I’m so glad to hear that you’re keeping the faith! And glad indeed you’re safe….there’s been so many earthquakes and such, just as God’s Word has said there would be in the last days. I do believe we’re under God’s judgment…and God is surely urging our nations to repent and turn back to Him. Thanks so much for taking time to comment! I mean Philippines. Sorry for the error. So much for me to be thankful for… most of all my eyesight. Without it, I would not be the photographer that I am. This, I LOVE, my passion! Yes, I’ve often thought about what a gift our eyesight is… God has created so many beautiful things for us to see… I would really hate to miss it! I don’t take that for granted! I bless God because I can wake up and pray every morning.